Pygeum Tinctures can be used with saw palmetto, stinging nettle root, and/or bee pollen to treat benign prostatic hyperplasia, and made into hair loss prevention shampoos with saw palmetto and stinging nettle root. Typically younger men (under 30) with prostate infections need about twice as a large a dose as older men (over 50) with prostate enlargement. Sometimes found in encapsulation, although rare. May be taken as a tea, but most will find it distasteful. Prostate :Benign prostate hypertrophy (BPH) is the non cancerous enlargement of the prostate. 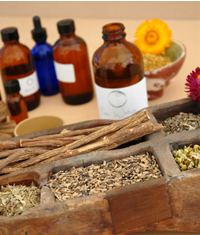 Herbal formulations containing combinations of herbs are often more effective than single extracts.